I've always been a theorycrafting geek when it comes to the games I love. Maybe it's because I've worked as a coder in some fashion for the better part of the last 16 years, but I'm constantly trying to optimize my gameplay in order to maximize my own (or my teams) chance of victory. This could be character choice, item build, or talents chosen. A small 1% edge here and there may not be apparent in a single game, but over the course of a lifetime of games these add up. Humans have varying needs for rest based on age & geolocation, but REM sleep cycles are vital to flushing out and revitalizing our brains. This is what's considered "deep sleep" and the sleep cycle where dreaming happens, but accounts for only 20% of our overall sleeping. To reach REM sleep requires you set aside a period of undisturbed time (6-10 hours) to allow your body to go through cycles of light to heavy sleep. 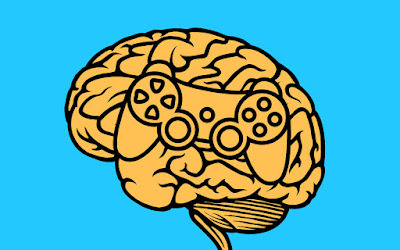 A well-rested mind will give noticeable improvements to gaming through a clearer head and sharper decision making. There are a few things you can do with diet to improve your gameplay. Avoiding eating foods that make you feel awful is a start. Generally foods that are heavy to digest (red meats, complex carbs, or large meals in general) are going to have some short term effect on your brain as your body enters a temporary hibernation mode and diverts resources & energy to breaking down and storing the excess. Small to medium sized meals will do better to keep your mind sharp, as well as sticking to lean cut meats and vegetables that digest easier. Some foods will even have a positive impact on the brain - lean fish for example has been proven to provide temporary boosts to brain performance. Just a short 20-minute workout will get the blood flowing and endorphins flooding, and the effects can last for up to a couple days afterwards. It's also a great way to calm the mind and expel nervous energy. I wouldn't recommend exercise immediately before gaming, but if you can fit this in a couple hours before you're competing this will have a positive impact on the body & brain. Communicating with teammates is crucial, but any other outside distractions can tug on vital brain resources and you may miss a key play. This could be someone not involved in the game trying to talk to you, or even in 1v1 matchups like SSB4 conversation can be used as a weapon to distract and disrupt your gameplay. You'll see many Smash players using headphones & music for this reason. Back when I used to raid heal for WoW I had a cat that would constantly jump on my keyboard demanding attention - "my cat messed me up" became my go-to raid wipe excuse. Distraction can take many forms and is often a necessary part of life and casual gaming, but when it comes time to get serious you need to find a place where you can be distraction-free. There have been crackdowns on professional players using certain prescription drugs to improve their play, and it's only a matter of time before we see regular drug testing become the norm in e-sports. We should be mindful of anytime we ingest a substance into our system. 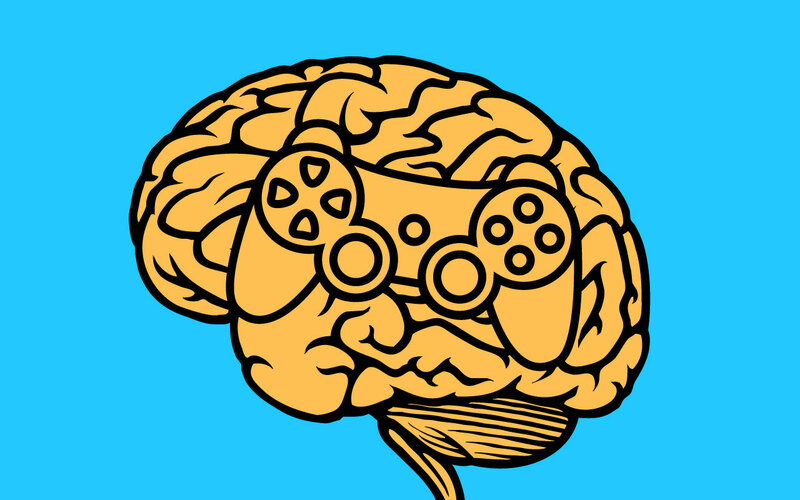 Caffeine, nicotine, or any other drug can have varying effects on our brains and our gameplay. While we all would love to be cold-blooded competitive gamers, the truth is our emotions often get the better of us. If you're in a rough emotional state when you sit down to game you're likely not to fare well. Take some deep breaths and try to get a grasp on what's bothering you. Is it out of your control? Can you put it on hold for a little while and just focus on the gaming? I've found meditation helps me personally when I need to sort my emotions, and many use prayer or talking with a friend or loved one to get their minds in a better place. New emotions will also pop up while gaming. Recognizing in the moment when you're frustrated, angry, toxic, defeated, pessimistic, or any other negative emotion is an important first step. The trick is not to let the emotion control you, nor to shut the emotion out, but to accept it. Recognize how it's affecting your play (and the play of those around you), and try to correct course and move past it. Last season LCS saw teams like TSM introduce long-sleeve hoodies worn over the traditional short-sleeve gaming jerseys. There are physical reasons for this - chilly gaming arenas make for cold arms & cold hands, which reduce blood flow to the fingers and as a result reduce CPM. In a competitive arena like LCS even a few CPM drop-off can have a huge impact. If your hands are cold when you're playing, consider wearing extra layers or long sleeves to improve your circulation. The last piece of advice I can give is to not over-analyze higher level strategy when in the moment of competitive gaming. Gamers in particular really struggle in this area because our minds are always moving. You should head into any tournament or competitive gaming environment with a strategic game plan in place, and try to stick to it with only minor deviations. Under pressure our brains can make strategic decisions that don't necessarily make logical sense, and the very best gamers know this and will try to pressure you into poor decision making. I've seen many teams fold in competitive play after just one loss, altering their strategy in a major way and then getting absolutely steamrolled. Your original plan may not work out, but there will be plenty of time afterwards to analyze what went wrong or could have gone better, and plan to make adjustments for the next competitive play. By having your strategy in place beforehand and roughly sticking to it, you're removing the potential for your emotional brain to step in and really mess things up. Have any tips for improving the mind-body gaming performance? Superfoods that turn you into a Pentakill god? Lucky pair of socks? Post in the comments below!